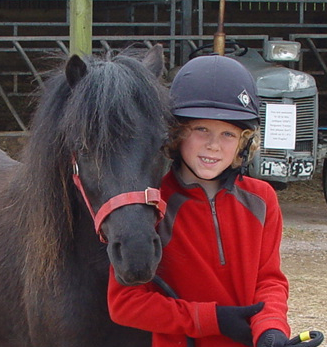 If someone in your family or amongst your friends – young or old – loves horses and ponies, but buying a real one is simply not an option, the Dartmoor Pony Heritage Trust (DPHT) has the perfect solution: ADOPT A PONY – and follow its progress all year round. The Dartmoor Pony Heritage Trust (DPHT) runs an Adoption Scheme as part of its work to ensure that the traditional type of Dartmoor pony does not disappear. Single-coloured with long manes and tails, Dartmoor ponies still run wild and free on Dartmoor, but their numbers are in serious decline. By buying an Adoption, you will be helping to fund the DPHT’s work to support the ponies on Dartmoor, to ensure they can continue to thrive as a vital part of the preservation of the Moor and its traditions. The cost is just £20 per year. The Adoption Pack includes a beautiful line drawing and an adoption certificate and you’ll also receive updates on the development and progress of the pony you have chosen. The pony you adopt, whether male or female, will be one of a small traditional herd cared for at the Dartmoor Pony Heritage Trust Centre, at Parke, Bovey Tracey, Devon. These are ponies for everyone to enjoy and here you will be able to visit them, follow their interesting lives, discover their true value and how important they are to the Dartmoor landscape. Title: £20 for a pony for Christmas! These ponies, all of which are owned by the pony keepers and farmers on Dartmoor, are part of Dartmoor’s heritage. Your valuable support will help to ensure the continuation of the wild native Dartmoor pony gene pool so vital to their survival. George, Charlie, Smartie and Rolo look forward to meeting you and to becoming part of your family. If you simply wish to make a donation to assist with our work, please do get in touch – your support is greatly appreciated. Or could you please spare some time to volunteer with the Trust? PHOTOS SHOW: EITHER HENRY WITH HIS GORGEOUS PONY FRIEND SMARTIE, OR DONNA WITH A VERY SLEEPY CHARLIE! This press release was distributed by ResponseSource Press Release Wire on behalf of Dartmoor Pony Heritage Trust in the following categories: Children & Teenagers, Leisure & Hobbies, Women's Interest & Beauty, for more information visit https://pressreleasewire.responsesource.com/about. The DPHT's mission is to preserve the indigenous Dartmoor Pony from extinction and to maintain its presence on Dartmoor, thus protecting our heritage for future generations.